Is a good gift is an original present for Christmas? Yes! Give a gift voucher for Christmas . You dare not? You are afraid that the / the recipient find it impersonal? On the contrary! You have thought about her passion for horses but let free to choose its activity (walk, especially court, hiking, training, ...) for the season, day and time convenient to him ... What could be more attentive? It's true that choosing the Christmas gift that is sure to please never been easy when it comes to clothing, interior design, high-tech or culture, it is even a real test for many of us. If you have only once heard the magic word in the recipient's mouth: horse, pony, horse riding ... the word was accompanied by a smile of your child, parent, friend ... it is found! And it is a mandatory success you will enjoy it for sure! Why bother with material gifts, bulky, slightly green and not especially will please your loved ones? Instead, make rhyme with Christmas shopping sport, nature, fun and ecology through the gift horse ride checks the equestrian farm the Reeds Goulaine! Whatever the level of the rider, the season in which he wants to come, we are here to welcome, from Monday to Sunday, all year round. We assure you a smiling and coaching available, quiet, docile horses, a small group of up to 6 riders and still in the protected environment of the green marsh Goulaine and Vineyard Nantais . To get your good, you can contact us by email or telephone. 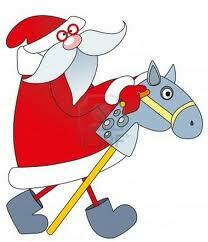 We can ship your gift voucher or you can pick it at equestrian center . You can make your payment to activate the right gift by check holidays, bank check or cash, we do not take credit cards.